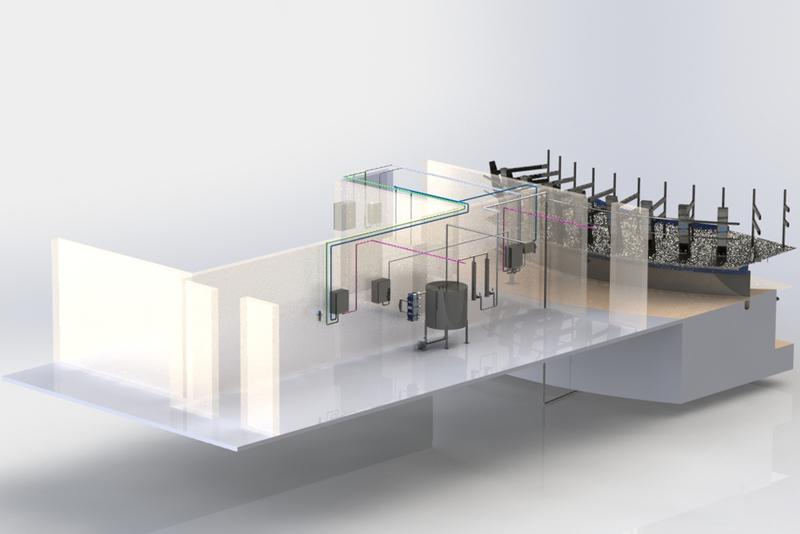 Madero Dairy Systems - Automatic milking equipment washing system. Just press a button and the Madero Hurricane takes care of the rest. The Madero Hurricane automatic washing system guarantees an optimal wash of the equipment through a precise control of cycles, temperature and chemicals dosing to remove any bacteria that might affect milk quality. It’s an automatic milking equipment washing system designed to be adaptable to any milking system. No matter if it’s a system to milk little, medium or big herds. Washing and sanitizing of milking equipment, from milking units, milk line, milk receiver group, piping and the components that are in contact with the extracted milk during milking. Through its 100% programmable control, the duration of the washing cycles can be configured according to the needs of each milking system. Avoids mistakes that can happen manually in the washing process. Guarantees an optimal milking equipment due to the cycle duration settings, just as the precise quantity of chemical products that need to be used. Prevents diseases and infection between cows. 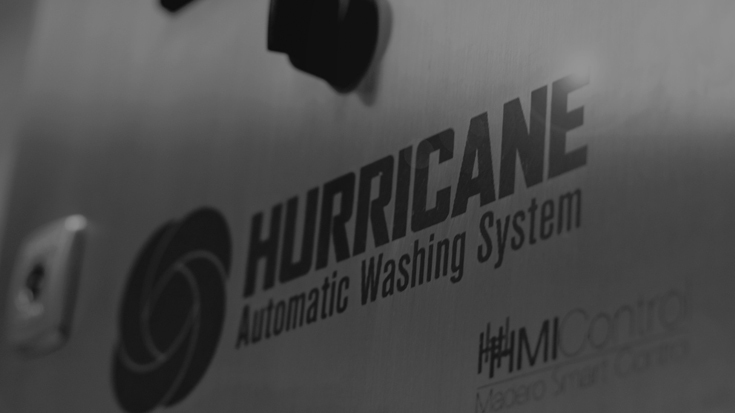 With the HMI Hurricane control you will be able to set, supervice and improve the washing phase in all its cycles at its maximum level. Facilitates the settings of the system through a user friendly, intuitive and easy reading interface. Allows a real-time wash monitoring. Supervise and control the full washing cycle. Complete customization of all components.